Plastic money is invading the Indian consumer. Here are some smart credit card spending tips for you such that you don’t land in a credit trap. It is always tempting to own as many credit cards as possible. But restrict yourself to the best 3 [No Annual fees + Lowest APR on Purchases]. Usually One VISA, One MasterCard and One AMEX. These could be issued by any bank or it could be a co-branded card. 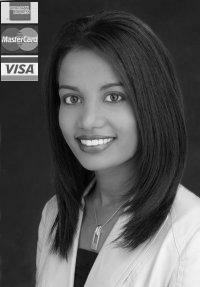 I have found that having VISA/MasterCard and Amex helps maintain a healthy credit balance. Make a list of all your credit cards with issuers name, address and phone number. Also write credit card number, validity and keep this in a safe place and never carry this with you. Make sure the card companies phone numbers work. My HDFC Credit Card has listed Bangalore number as 55224332 which is not operational. Carry the best two cards. For example, you may have Retail card, so while going for weekend shopping, just carry the retail card. Have the credit card bill payment date spread atleast 10 days apart. Use only one card with the lowest limit for online purchases. Always use the same card. Be extra careful when accpeting offers such as Balance Transfers and Cash Back as their are always traps which are hidden by credit card companies. In the years to come, every Indian will be under survilleance of credit buearus and hence it is very essential to maintain a fair credit history to avail loans for homes or cars in future. This entry was posted on Sunday, December 17th, 2006 at 2:33 am	and is filed under Credit Adviser.